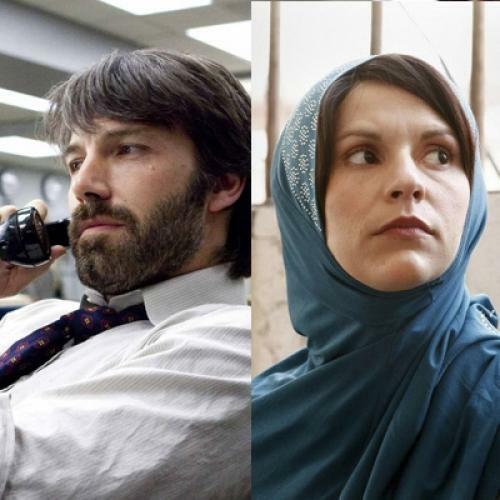 Argo has gotten a lot of flak for the creative liberties it takes in depicting its particular corner of the Iran hostage crisis, in which six employees of the U.S. embassy were sheltered for months by the Canadian ambassador before being smuggled out under the noses of the Iranian government, disguised as a Canadian film crew. The real story of the Canadian Caper might be about diplomatic collaboration and the heroism of an American ally, but Argo is something else: the rare action film in which the CIA plays the hero. More specifically, the hero is one CIA agent in particular: Ben Affleck’s Tony Mendez, who follows the clarion call of his intuition in the face of bureaucratic roadblocks. “We’re responsible for these people,” says Mendez. “What we are is required to follow orders,” replies his supervisor, played by Bryan Cranston. In a dramatic bit of historical revisionism, at the last minute the Agency pulls its support of Mendez’s plan, but he goes ahead with it anyway, harebrained and implausible as it seems. Spoiler alert: he pulls it off. But the image of the rogue CIA agent seems to be changing shape in the post-Bin-Laden world. The figure is complicating: it seems less like a way to incriminate the Agency than a way to further humanize it. The Bourne series—in which the CIA is the embodiment of evil, employing mind control to create killing machines—is the obvious exception, but Bourne has been around since the paranoid anti-Agency culture of the early 2000s. The new rogue agent doesn’t go off the rails because the CIA is ineffectual or malevolent, but because the operative is resistant to the organization’s reasonable doubts about collateral damage and rule of law. Though Argo is set in a different political era, it still reflects contemporary concerns about diplomacy and the reliability of American intelligence. And since Argo is based on real events, we know from the beginning that Mendez’s plan succeeds. But the film’s many distortions of historical fact—specifically the pulse-thumping final scene in which Iranian security officers chase down the Americans’ plane—make us feel like Mendez has narrowly avoided making a big mistake. That same anxiety, to a much greater extent, courses through “Homeland,” where Claire Danes’s Carrie is brilliant but deeply unreliable; you can’t fault the system for doubting her. She is teetering on the thin edge between heroism and total self-destruction. “You’re a disgrace to your nation, Sergeant Nicholas Brody. You’re a traitor and a terrorist,” she says after impulsively confronting Brody—the congressman and former prisoner of war she has long been convinced is trying to sabotage the American government—while her superiors at the CIA looked on via surveillance in horror. It is a satisfying moment, but also an uneasy reminder of the fragility of Carrie’s competence. There is a dark, constant emotional undertow pulling at her professional judgment. And in last night’s episode, her interrogation of Brody after his arrest is a mix of desperate vulnerability and cool expertise. “You broke my heart, you know,” she tells him, coaxing out a confession that he had been wearing a suicide vest in the safe room with the vice president. “Homeland” is fully a projection of this particular political moment, a world caught between post-9/11 awareness of the limits of American power and the renewed faith in American espionage in the wake of the Bin Laden raid. And so the CIA is neither incompetent nor darkly efficient, as it has been in so many other onscreen representations, but conflicted and human, set in a morally ambiguous world that blurs the boundaries between crazy and clairvoyant. Both “Homeland” and Argo are strangely patriotic stories, even though they are ultimately dealing with major failures of American intelligence. The figure of the rogue operative has become a way to wrestle with ambiguities at the heart of U.S. foreign policy, the messy questions of who can be trusted and how much collateral damage in pursuit of the truth is too much. The rogue agent offers up a kind of backdoor patriotism for a new political age: a symbol of an underdog American ingenuity that acknowledges its potential to be tragically wrong.